Puree each type of fruit separately with 1 tbsp of water. Mix 1/4 of the icing sugar with each of the fruit mixtures. Pour the mango mixture into the ice lolly moulds, freeze for approx. 20 mins. Insert the ice lolly sticks. 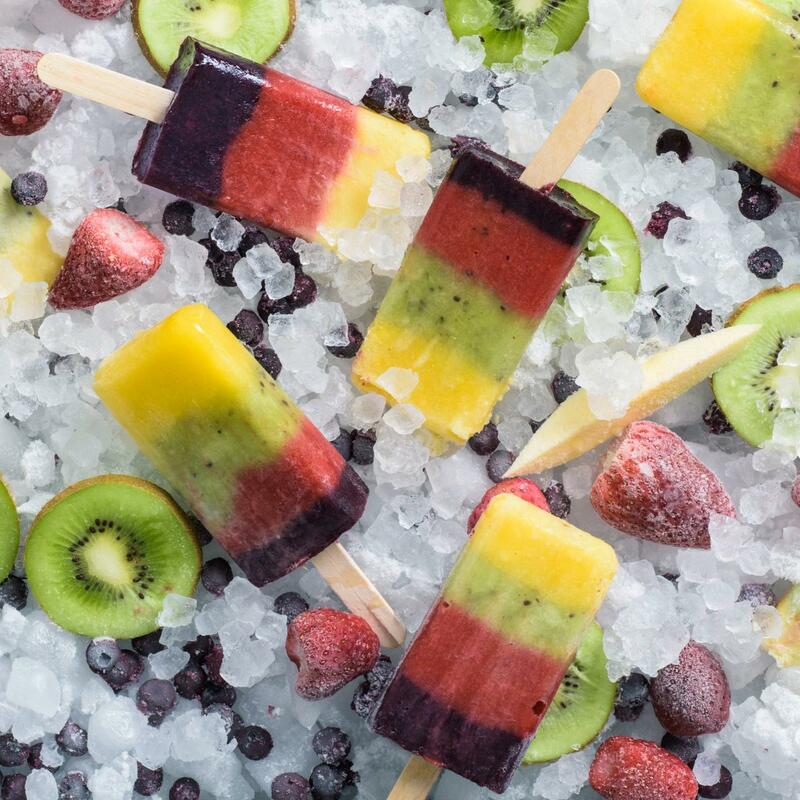 To create a rainbow pattern, add the remaining fruit mixtures one at a time, freezing each for 20 mins. Freeze the finished ice lollies for approx. 8 hrs.